Love STINKS! (Okay, not really.) 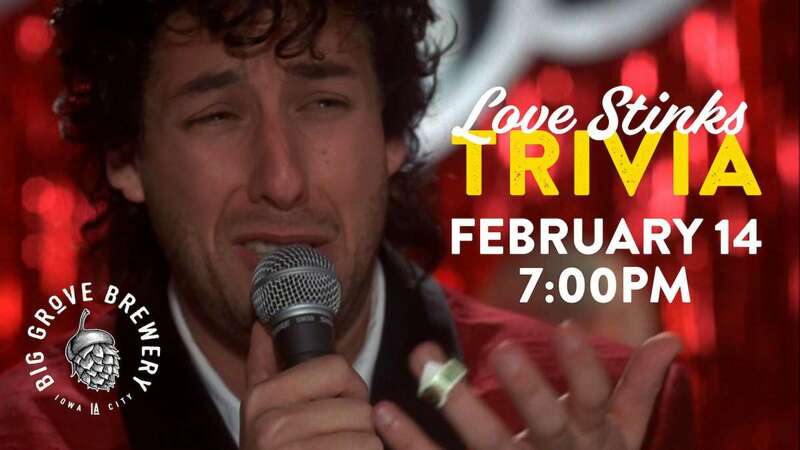 But if you happen to not be digging Valentine's Day, don't buy into it, or have a special someone who's more into making fun of V-day, we're doing an Anti-Valentine's Day Trivia Night! Questions will NOT be about love, NOT be about romance, and NOT focus on those gross little candy hearts. Grab some friends, come down to Big Grove and enjoy Valentine's the way it should be enjoyed: begrudgingly! 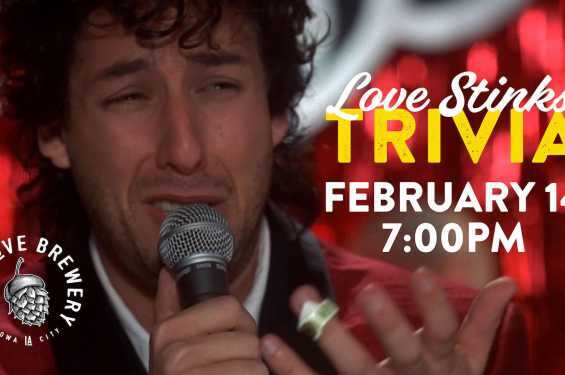 TRIVIA Starts at 7pm, but come early for a spot! So if you single, taken or somewhere in between, it’s still Thursday – time for a beer. Every day is special when you have craft beer, after all.